This Cotton Waffle Weave Blanket is breathable, lightweight and great looking, so you can use it for a cosy night’s sleep or even as a decorative throw when not in use! Stylish looks – use as a decorative throw on your sofa of bed! 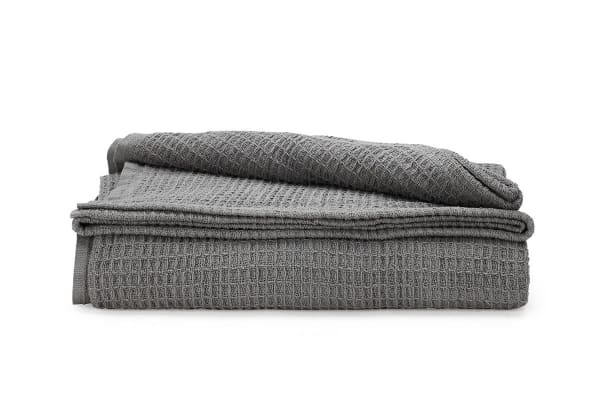 Lightweight and with a cosy warmth the The Ovela Cotton Waffle Weave Blanket gives you a perfect night’s sleep without overheating. 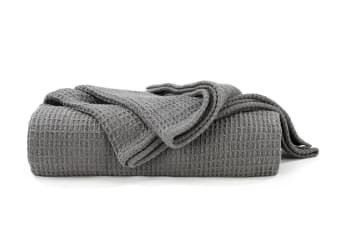 The 100% natural cotton material and waffle weaving not only gives it excellent breathability but also an understated style, so when you’re not using it as a cosy cover, just throw it on your bed or sofa as a decorative statement piece to add style to your room!